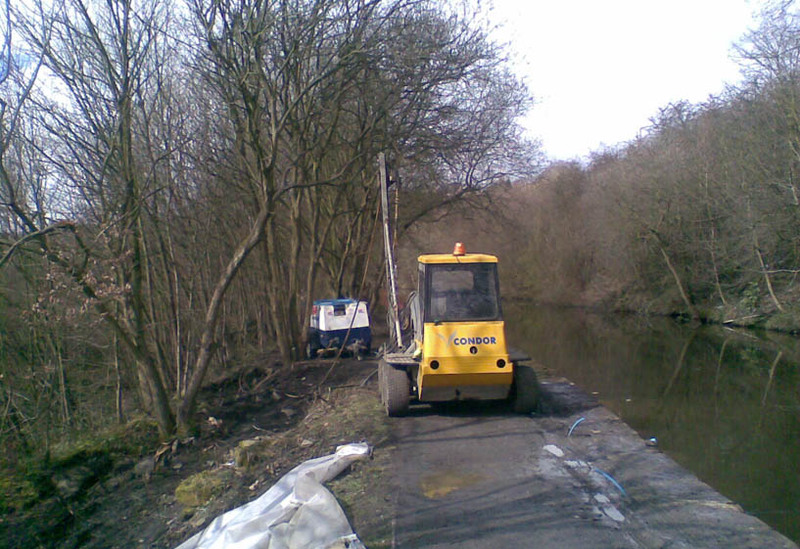 Over the past 20 years, Condor Projects Ltd has developed a range of techniques and equipment specifically designed to work on canal towpaths. 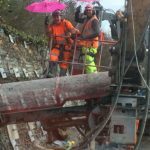 The tight restrictions in size and weight have required Condor Projects Ltd to construct drilling and piling rigs to operate below the weight limits to preserve the side of the canals while constructing grout curtains, injecting resin and cut off barriers undertaking towpaths maintenance. These are required to stop the water tracking through the ground, causing washout of the paths and lock side, eventually leading to the collapse of the canal. Condor has worked extremely close with British Waterways (Now Canal & River Trust) network and May Gurney across the full waterways network in respect of innovative ideas and even developing a unique waterproof grout.